One of the observations that must be done before all is that in every African language of Sub-Saharan Africa there are endogenous words that designate the act of reading and writing. We can see then that in some of the most important languages of Africa south of Sahara, there are words without Arabic or European influence which expresses the act of reading or writing. Yet, how do Blacks do to have words which mean the act of reading and writing if they did not use to read and write? This simple linguistic analysis allows affirming without a doubt that reading and writing were known in Africa before the foreign invasions. We will analyze the systems of writing known in the continent. Important archives from the Bamun kingdom written in ‘Shumom’ are available for consultation in the museums of Cameroon today. The Bamun writing was so much alive that the savant Njoya used to use it for his comics. 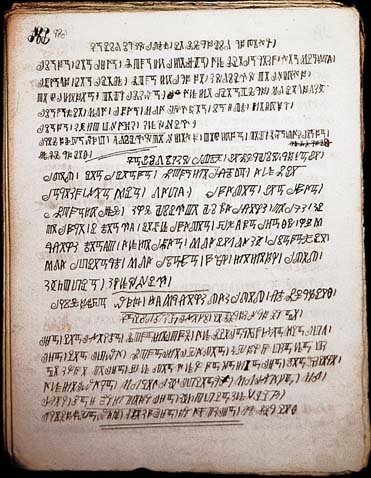 The problem with the Shumom writing is that it is said it was invented by the king Ibrahim Njoya who lived in the beginning of the 20th century. He had the idea to create it while being in touch with Arabic speaking Fulani and Hausa lettered men, and Shumom appeared to him in a dream. 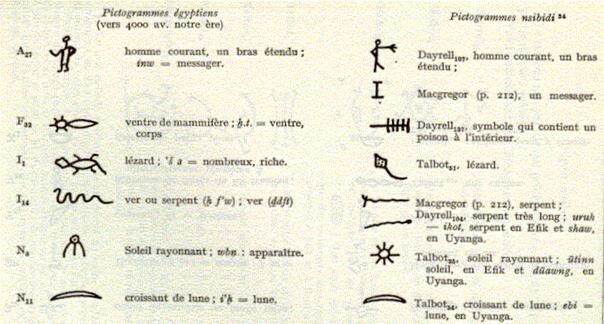 Yet, Cheikh Anta Diop identified 7 common signs between the ancient Egyptian writing and the Bamoun writing . Consequently, if Njoya developped this writing, he didn’t invent it. The Bamun are from Egyptian descent , they may have therefore perpetuated their ancestors writing from the Nile Valley up to the banks of the Noun river. This writing contains 212 signs. According to the official version, it was revealed in a dream to a Mandinka mason called Kisimi Kamara in 1921. 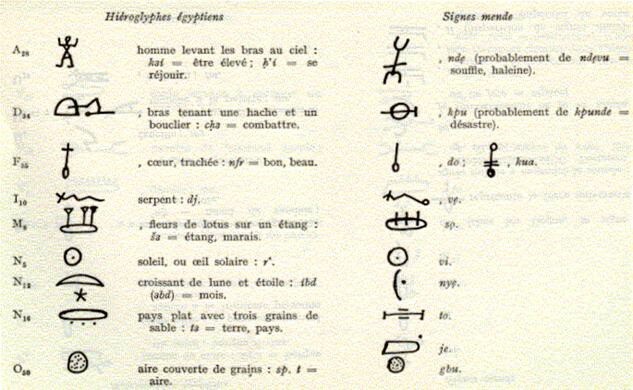 Again, Théophile Obenga reported the existence of 9 common signs between the Egyptian writing and the Mende; If the basis of Mende writing therefore existed before Kisimi Kamara, he definitely developped it. 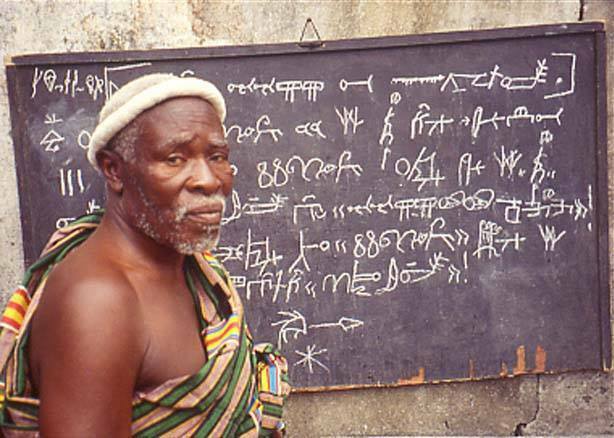 According to the Western historiography, the Bété writing was invented by the man of knowledge Bruly Bouabré who passed away in 2014. He would have reportedly invented alone, in 1948, 448 syllabic signs for his native language and used it to write tales. 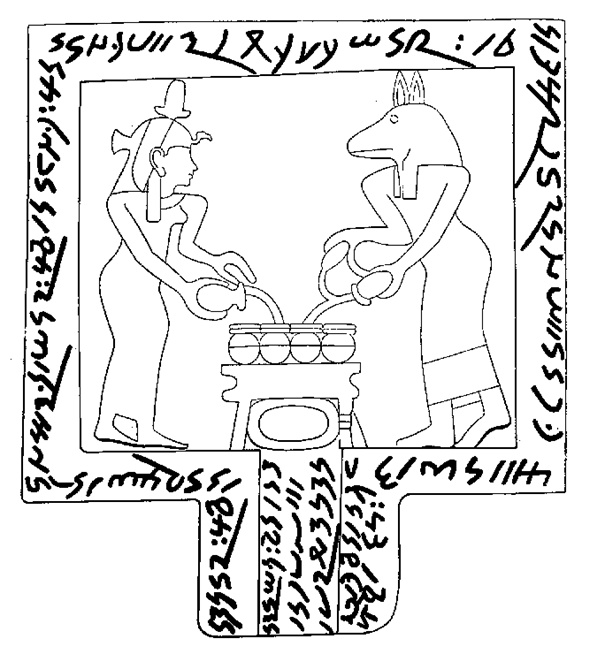 The Bété writing here above is pictographic; it is to say it takes back drawings like those in the Egyptian and Mende writing. A more broaden study would revealed without a doubt common signs between this writing and these of the whole continent. Bruly Bouabré probably wasn’t the inventor of that writing, but we might think that he was an initiated man to whom was taught the writing’s fundamentals of his ancestors. Ge’ez is without a doubt the most used and most living writing of Africa. It is older than the Christian era. 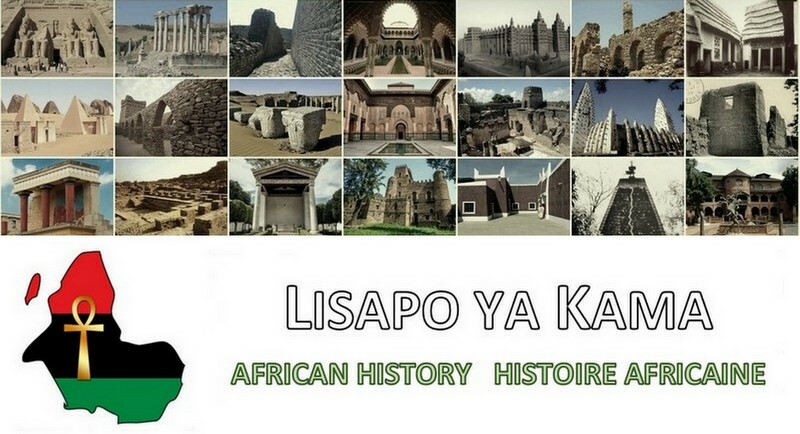 Ethiopia’s patrimony was preserved by and thanks to the emperor Menelik II, the man who chased the Italians invaders out of his territory and made Ethiopia the only African country not to be colonized. 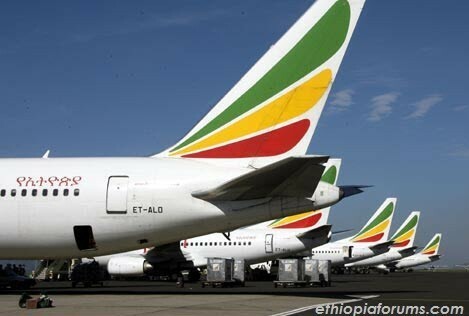 Today Ge’ez is everywhere seen in Haile Selassie’s country. 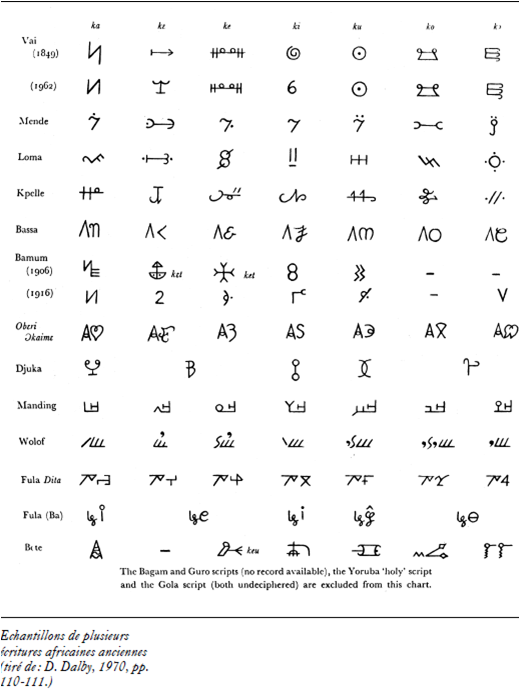 Regarding this writing mainly used by the Efik people from the south of Nigeria, the researcher P.A Talbot tells us that ‘the Nsidibi writing is certainly very antique, and to a large measure, pictographic’ . 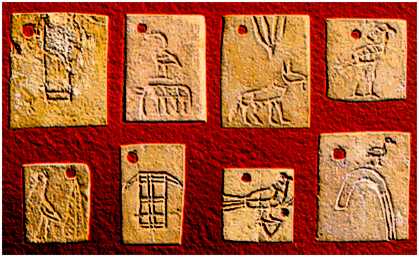 The ten common signs between Nsidibi and ancient Egyptian reported by Theophile Obenga make one seek for its origin in the Nile Valley. It was first reported to the world in 1921. It belongs to the Kikuyu people, which is the largest ethnic group of Kenya. There are three common signs between Gicandi and ancient Egyptian . Writings: Vaï, Mende, from Sierra Leone; Loma, Kpelle, Bassa from Liberia; Bamun, from Cameroon; Oberi Okaime, from Nigeria; Djuka, Surinam (enslaved Africans); Mandinka, West Africa; Wolof, from Senegal; Fulani, West Africa; Bété, from Ivory Coast. Sources: Histoire Générale de l’Afrique, volume 1, Chapitre 10 (General History of Africa, Volume 1, chapter 10), Pathe Diagne, pages 280-286. We can see that Africa is not only at the origin of writing, but the survival of this practice since the end of the civilizations of the Nile valley remained strong. The incomplete list of writings we have browsed is already important; there are certainly others that have disappeared along 500 years of the apocalypse that fell on the continent. Moreover, it is very interesting to notice that numerous of these writings are originating from the valley of the Nile; this reinforces more the notion of the common identity of Blacks. Therefore, not only Africa has an oral tradition, but also a written one.